Dreaming of Wide Open Spaces? Well que the Dixie Chicks, becuase this Rutherford 2538 just became your new perfect home. 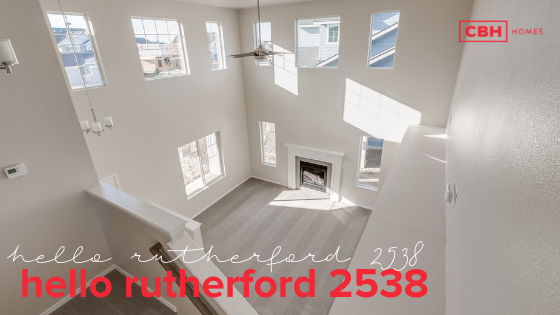 The Rutherford surrounds you with an abundance of windows & offers a room for every need. Any chef/entertainer will appreciate the kitchen opening directly in the oversized great room. Upstairs you’re greeted by a roomy loft, as well as an inviting master suite. Interested in a move in Ready Rutherford? & we’re always building more! Do you live in a Rutherford and LOVE it? Be sure to leave a review at the very bottom of the Rutherford page! Preparing for The Big Move? Check out our nwew blog post for tips and tricks. Click the photo below! Next Post2019 February Trade Partner of the Month – Quality Stucco!